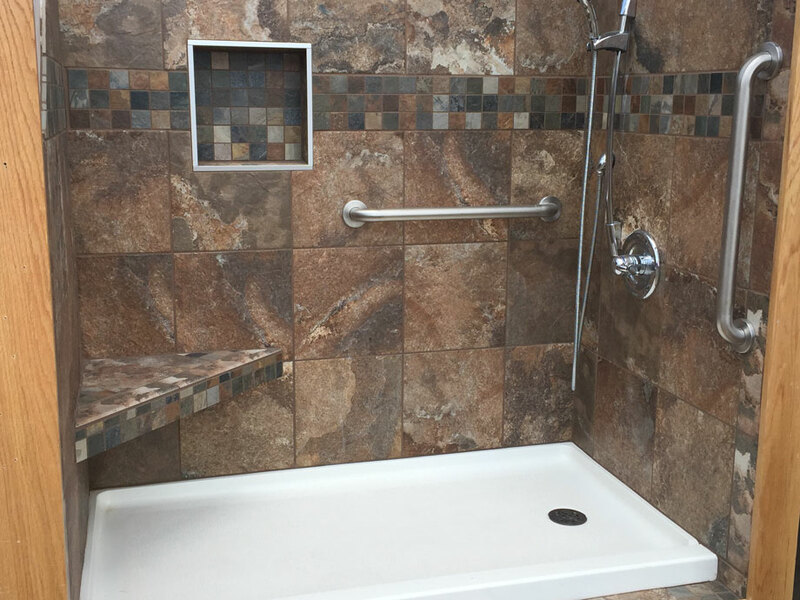 ​We are the premiere bathroom and kitchen remodeling company in the Des Moines, Iowa area, and have been bringing our services to the city for over 34 years. Whatever your need and desire, you can depend on our experts to provide you the highest quality in workmanship. This means that we offer your home the care needed for both tremendous aesthetic improvement and value to your property. ​We bring Des Moines, Iowa home owners many options that will have you enjoying the new beauty and value of your home. We're well aware that in order to be the industry leader, we need to make improved changes to the products we offer with time. And to ensure that we always live up to our rarely matched standard of excellence to maintain the reputation we've long held in the city of Des Moines. No matter the kitchen or bathroom remodeling service you need, you can count on the expertise of Hartman Construction. Each of the services that we offer you are designed to provide you not only with an aesthetic improvement, but a level of dependability that only comes with work performed by experts with years in the business. 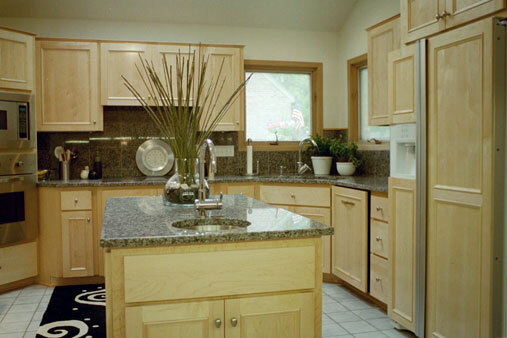 We aim to be the company that comes to mind when it comes to Des Moines kitchen and bathroom remodeling. We are dedicated to the highest level of quality, and to bringing you a service that will improve your property. No matter the task, we are here to provide results. Cabinet Refacing is done by installing new wood doors and drawer fronts on your existing cabinets. The fronts of your cabinets behind the doors and the exposed sides are covered with real wood veneer. Our "furniture quality" cabinet doors and fronts give you the beauty of new cabinets at a lower cost, about 50% of the cost of have new cabinets installed. You choose from over 50 door styles in most any kind of wood, stained any Minwax color. Or choose any style painted any Sherwin Williams color. For new cabinets we buy from Sunderland Bros. in Urbandale from Plumb Supply in Waukee, or we make custom cabinets most any size using our refacing door styles. Both Sunderland Bros. and Plumb Supply have great showrooms where you can see the different styles and prices, with knowledgeable designers to guide you through the process. We use all Formica, Wilsonart, Corian, Corian Zodiaq Quartz, Swanstone and Granite countertop styles and colors. There are hundreds of colors in Formica and Wilsonart - too many to show here. For bathroom vanity tops we prefer Quartz vanity tops with under-mounted sinks because they're most durable. Below are the Corian and Swanstone colors. Formica and Wilsonart tops have a one year limited warranty. Corian and Formica have a 10 year limited warranty. “Ken and Linda are the nicest people. Creative and very talented company. Their guys are fast yet detailed in every aspect of remodel. They can turn any old kitchen and/or bathroom into a beautiful piece of art. Custom and personalized to your want and can work miracles within a budget. I'd refer them to my own family so that says a lot! Great job guys!” – Jaime H.
We are not only the source of incredible kitchen remodels, but also Des Moines' highest quality bathroom remodeler as well. Our bathroom remodeling is truly one of a kind as we take the project from design to full completion. In most bath remodel projects, we use Basco shower doors. We also typically use Kate-lo tile or Sunderland Bros. for any wall and floor ceramic tile. ​Make your bathroom beautiful and functional. We can install fiberglass showers like this one to replace your tub, or install a custom tile shower. They're both great for Seniors and those who choose to stay at home and "age in place". And they're easy to clean and easy to get into and out. Worried about Mold? Worry no longer. There is a 0% chance of mold developing and thriving between the old tub and the new shower because the old tub is completely removed and taken to the landfill. Mold is extremely unhealthy to breathe in and our goal is for your and your family to remain totally safe and secure. Our specialty wood doors are used to reface cabinets, and on new custom built cabinets. Over 50 doors styles are made for you to choose from. You can also choose the type of wood, any minwax stain color, or any Sherwin Williams paint color. "Ken and his wife were great folks to help plan and design our project. Ken and crew were great to work with. They didn't mind some minor changes as we went along. They came in right on budget! We would definitely recommend for kitchen remodeling." – Bruce M.
​When looking to contract services you can trust, you don't have to look any further than Hartman Construction. 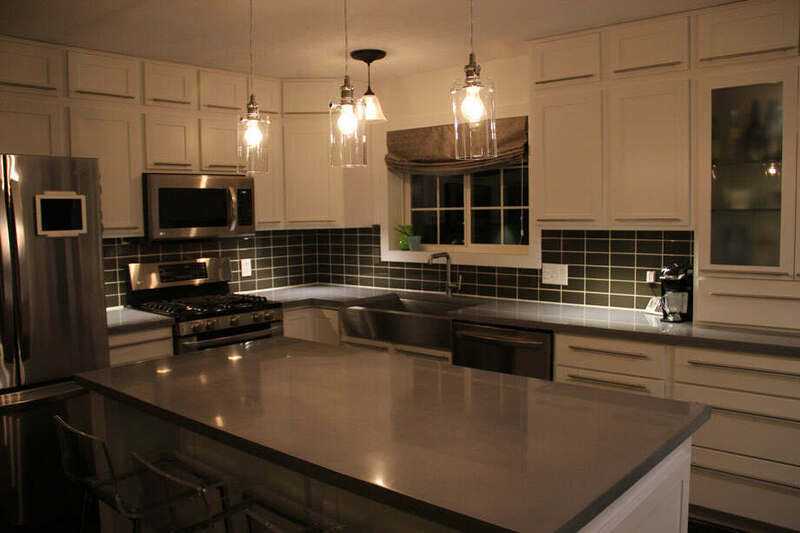 Whether it be new cabinets, custom cabinets a complete kitchen design and remodel or bathroom remodel, Ken and Linda have served the Des Moines homeowners with an incredibly high quality service for over 34 years. Our A+ rating on the BBB is not a fluke. Please call today for a free estimate!